The Dao of the Golden Light is an original way of Zen meditation (Chan in Chinese). The focus is to find the centre of the mind, the place where all thought originates. Both Buddha Sakyamuni and Padmasambava spoke of the Golden Light that can be found in this area. Meditation at the centre of mind can help to change negative thought patterns, maintain and improve health, and lead to the re-awakening of latent functions, such as healing abilities. Today, the teaching and practice of meditation often omits the fundamental elements of correct body posture and breathing. This is particularly the case when meditation is thought of mainly as a way of relaxation. Wuxi meditation, based upon the original principles of the Dao of the Golden Light, emphasises the need for the correction of body posture and breathing exercises in order to cleanse internal organs and meridians. During this course Shen Jin will start by teaching these basic principles, before guiding us to find the centre of mind. Finding the centre of mind can bring true stillness and inner peace. It has a balancing effect on the nervous system. It is possible to see the Golden Light, thereby opening the door to spiritual development. 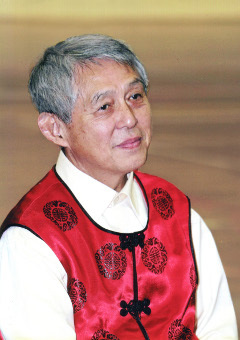 Master Shen Jin (°Shanghai 1957) is director of the Buqi Institute. She holds a diploma in Traditional Chinese Medicine and began studying taijiquan and qigong with her father Dr Shen Hongxun at the age of nine. At 21 she began to teach and became at that time the youngest female master in the history of qigong. 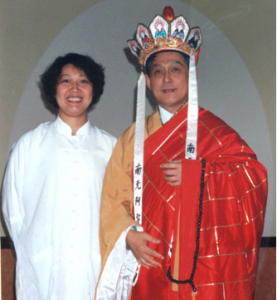 She has been teaching Taijiwuxigong, taijiquan and E-Mei internationally for over 35 years and has developed the same empty force for which her father was renowned. Her father Dr Shen Hongxun developed Wuxi meditation after studying various meditation systems such as Taoist (Longmen Pai), Chinese Buddhist (Chan, Jintu and TianTai) and Tibbetan Buddhist. 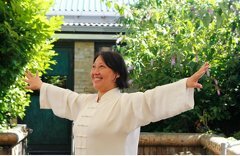 Shen Jin now teaches her fathers Wuxi meditation system that is based upon the original principles of the Dao of the Golden Light and emphasises the need for correct body posture and breathing exercises in order to cleanse the internal organs and meridians. We are unable to provide any accommodation or lunch for this course. A local hotel/B&B list can be provided upon request. There is a supermarket right across the street from the hall and there are options for a warm lunch nearby. Reserve your place online now!